“Frances Ha” a Hopeless Bore. Poor Brooklyn. Whatever did it do to merit the sort of musicians and film makers that have lately come to sully its streets with such studied insouciance? And so little to show for it. Noah Baumbach is part of that group of terribly clever indie film makers that includes Wes Anderson, Spike Jones and a couple of the Coppolas. After his fourth film though, the genuinely charming The Squid and the Whale (’04) it looked as if a serious film maker had arrived on the scene. 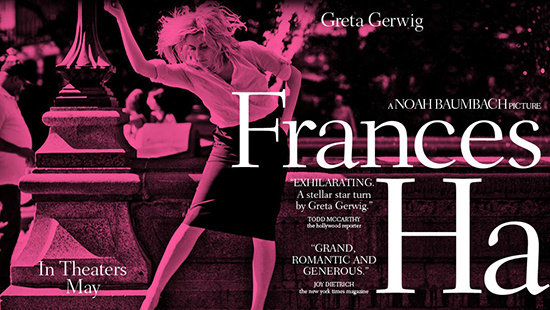 But the three films he followed that up with, Margot at the Wedding (’07), Greenberg (’10) and now Frances Ha all have that irritating air of being far too clever by half. Jesse Eisenberg and Anna Paquin in “The Squid and the Whale”. You can see what’s he done. He’s taken three classic, indie film scenarios, but instead of then producing the sort of whimsical, offbeat but quietly charming story that the set up suggests, he’s taken the protagonists and workshopped them to death. Every time you expect them to go one way he forces them in the exact opposite direction. It’s a sort of test, to see how far the audience will go along with it, and how much they’ll put up with. So Frances Ha is the story of a late 20 something who is forced to make the journey from adolescence into adulthood. But instead of in any way moving on, romantically, job-wise or on any level, by the end of the film she’s in exactly the same place. And instead of any scenes that might be deemed either charming or humorous, they’re all just quietly embarrassing. Geddit? If he wants to alienate the audience, as Todd Solondz does, brilliantly, then he should do so properly. But he clearly has a gift for making romantic comedies that manage to be genuinely engaging. 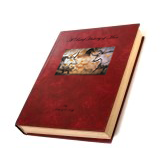 And that deal seriously with the trials and tribulations of adult life in a sophisticated and nuanced way. 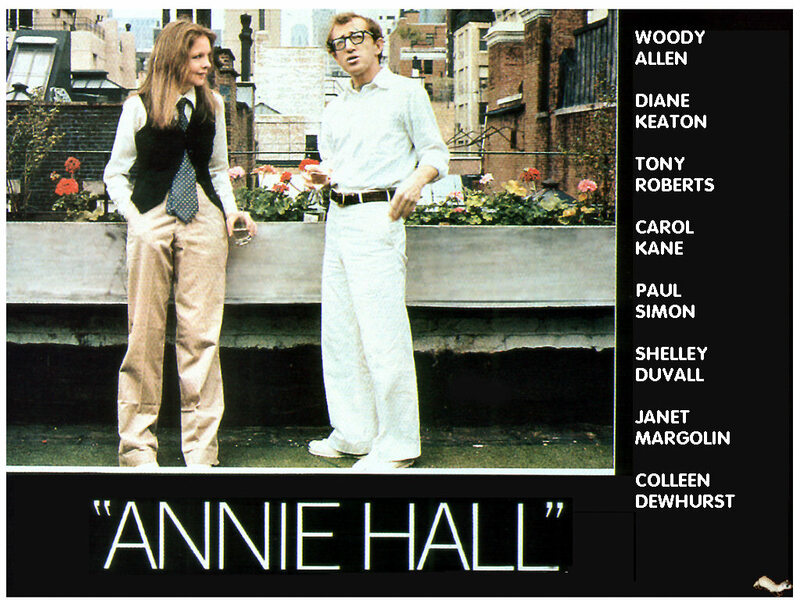 Baumbach needs to go back and have another look at Annie Hall and Manhattan. 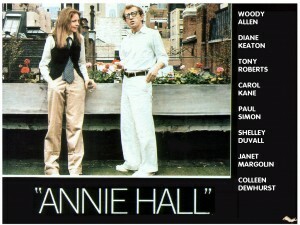 And especially at the way in which the former was re-shot and edited when Woody Allen saw how much more interested the audience were in the relationship between Allen and Diane Keaton. Because if you can make films on that kind of level – and he seems to be able to – then that is not a gift to be squandered lightly. When you sacrifice warmth for specious cleverness like this, all you end up doing is annoying the audience. And that’s not funny or clever. 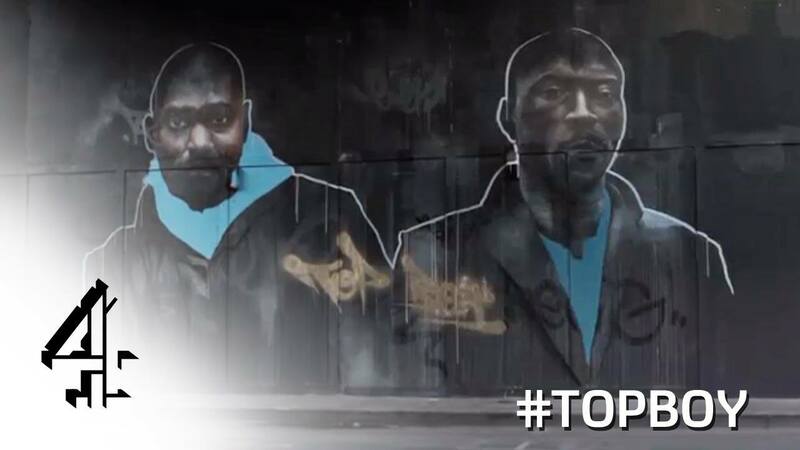 Channel 4’s “Top Boy” Makes Triumphant Return. Series 2 of Top Boy. 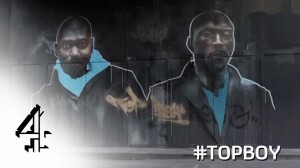 When Channel 4 aired the first series of Top Boy over four successive nights in 2011 it felt like something of an aberration. Here was a brilliantly illuminating window on a corner of inner city life, dramatizing a part of Britain that conventional television traditionally ignores. Compelling, believable, impressively visual and all too real, series 1 was reviewed by me earlier here. Hardly the sort of programme in other words that one normally associates with a station like Channel 4. 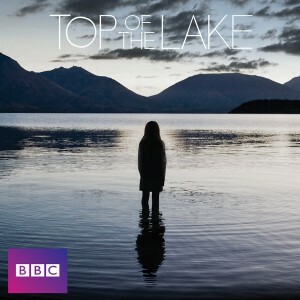 But since then, programmes like Southcliffe, the dystopian Utopia, the brilliant French import The Returned (which I reviewed earlier here) and now this, series 2 of Top Boy suggest that Channel 4 might finally be getting some of its mojo back. It’s pointless trying to talk about Top Boy without comparing it to The Wire. That is manages to stand up to and merit that comparison is remarkable. Even if, for the moment, it doesn’t quite scale those kind of heights. But then again, neither has it so far been given scope to, with just the four episodes per series to play with. As with all the best drama on television, it’s all down to the writing. Ronan Bennett’s scripts are brilliantly structured and wonderfully nuanced. They’re given life by a collection of remarkable performances from a mixture of veterans and new comers. And once again the direction is notable for its sense of style and grandeur as much for its gritty realism. And the whole thing is given a wonderful sheen thanks to Brian Eno’s quietly menacing score. Series two has just begun on Channel 4. Watch it. This is the best and the most important drama produced for television on these islands this decade. Ben Wheatley’s film “A Field In England” a Triumph of Marketing over Content. 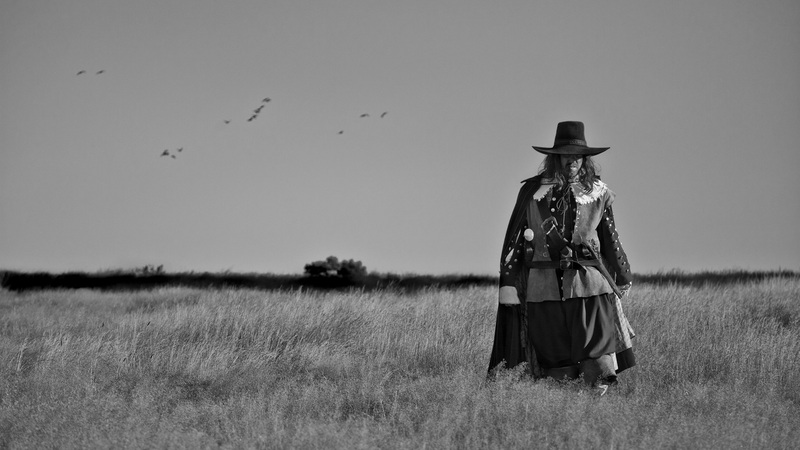 Ben Wheatley’s A Field In England. Ben Wheatley’s new film A Field In England was released simultaneously in cinemas, on DVD, on the Internet and on television all at the beginning of July. And the reviews that followed were almost unanimously stellar, as critics were swept along by this clever piece of marketing. Which is baffling, as it’s all over the place. Only Catherine Shoard raised a lonely voice of protest in her Observer review here. There’s no story. Or at least not a whole one. What you have instead or four or five ideas for a story. Let’s take a bunch of guys and isolate them in one location for an entire film. And it’s in the middle of the English Civil War, so some of them are on one side, and some are from the other. But instead of following them in the midst of the action, let’s spend a day with them when they’ve nothing to do! Except hunt for buried treasure. Which they’re looking for using divination. Plus there’s the whole Lord of the Flies thing, as they each revert to Hobbsian brutes removed as they are from polite society. And occasional Pinteresque, sub-Beckettian pseudo existential musings along the lines that everything-will-be-all-right-once-we-get-to-the-Ale-House. No pesky women, beautiful or otherwise, to distract from the “story”. Which is fine if all you’re doing is making ads. With barely a minute to play with, all you can ever do is suggest a story, so you never have to follow any of your ideas through. When you’re making a feature film, you have to choose just one story and actually tell it. But as with his previous film The Kill List, Wheatley doesn’t seem to have the wherewithal to pursue a story through its beginning, middle and end. Instead he resorts to hype, and slips back in to advertising mode. Which was where he used to work before he decided to try his hand at features. You can see A Field In England’s trailer here. How Hilarious Was that Pat Shortt Tweet? And What Would We Do Without Twitter?! 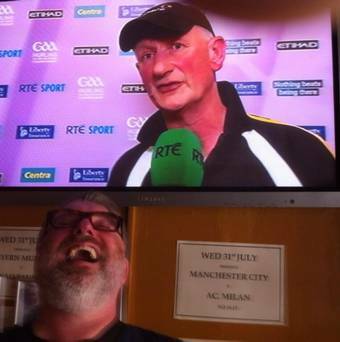 Top is sad Kilkenny man. 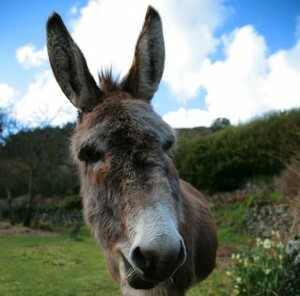 Below is happy Tipperary man. Priceless! Even that omission of the indefinite article, brilliant. Some of you I imagine mightn’t be completely up to speed with the tribal dynamics of Gaelic games. So, very briefly, here’s what was actually going there. You see Cody is the manager of the Kilkenny hurling team. And they were only after losing their qualifying match with Cork. So they were out. And unsurprisingly, Cody was not a happy man. But what was Shortt so pleased about, I hear you ask? After all, he’s from Tipperary? That hilarious Pat Shortt tweet. But here’s the catch! Even though Tipp weren’t even playing in the match in question, Shortt was simply delighted as a Tipperary man to see Kilkenny get beat! That’s because there’s huge rivalry between Tipp and Kilkenny. Huge. And just the sight of them getting beat, regardless of who they’re playing, is liable to put a smile on a Tipperary man’s face. And they were only after losing! In the All Ireland! Class! That’s what was so hilarious about that tweet. And talking of which, where would we be without Twitter! How else would the likes of Pat Shortt get to share those kind of brilliant one liners? In the old days the only place you’d get to hear stuff like that would be from one of those delightful taxi drivers. Or at best, a friendly bar man (un-coincidentally, Shortt has a pub near Middleton), ever keen to impart their endless wit and bottomless wisdom. But now you get to read that kind of stuff all day! What a world we live in. Class.